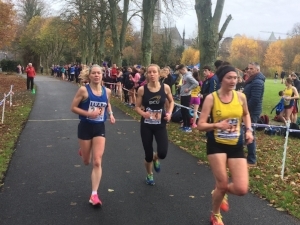 Paralympian, Greta Streimikyte, had a very encouraging end to her 2017 season as she helped bring her DCU team to a strong 2nd placed finish in the IUAA Road Relays held at Maynooth today. This event is used by all top athletes in Ireland to asses how the winter base period is going. This bodes very well for Greta who will race indoors after Christmas, with the main target being the IPC European Championships in Berlin in August 2018.